Parked by the church in the village and made my way up by the most obvious route. There had been much forestry work so there were small pine branches carpeting the ground. 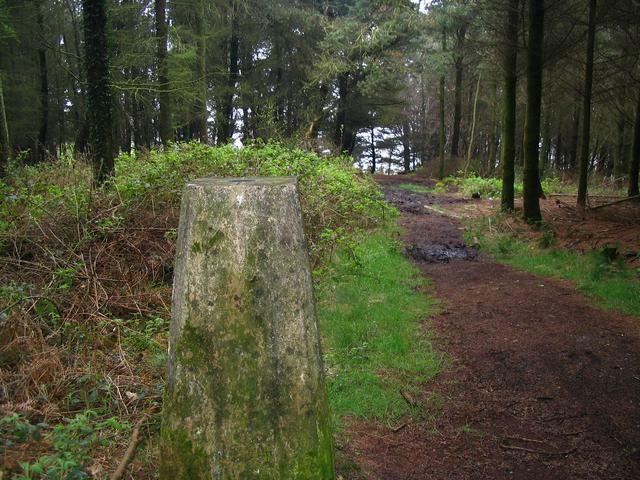 Trig was easily accessible but with no views except the one pictured. I was surprised to see butterflies flying around in the amazingly warm weather. Sadly no great views from pillar but enjoyed hiking around the area. 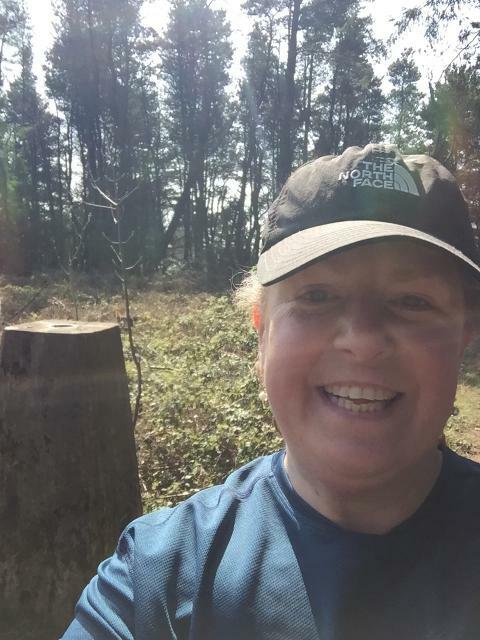 Bagged on a nine mile circular walk on the Blackdown Hills as part of my Walk 2,019 lies challenge. 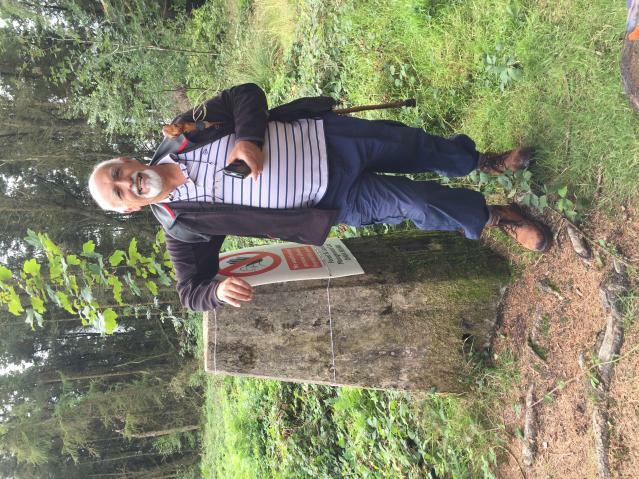 Parked near cemetery gate then short walk on footpath through wood to trig point. 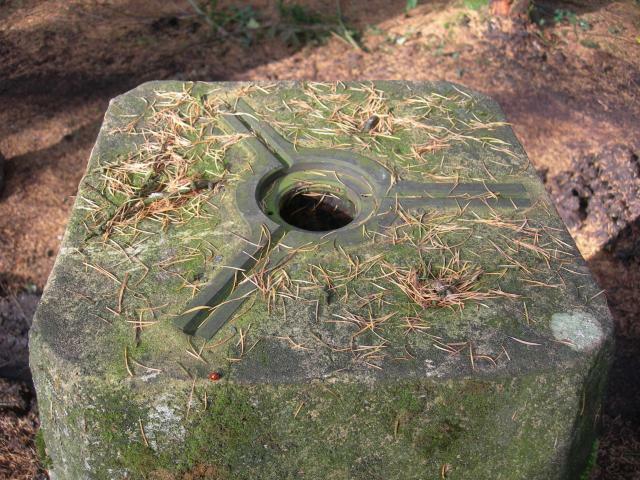 Found whilst geocaching around area. Parked next to graveyard at road junction and took the path opposite. 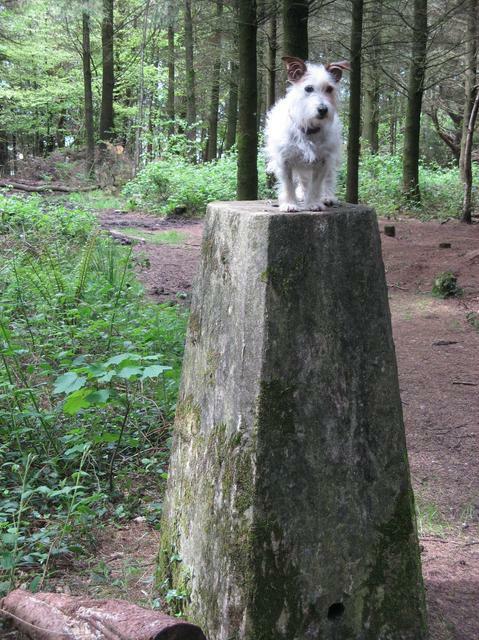 Went straight on then when reached the level of the forest, turned right and spotted trig quite easily. Tree's felled right up to it. Came down the direct way. 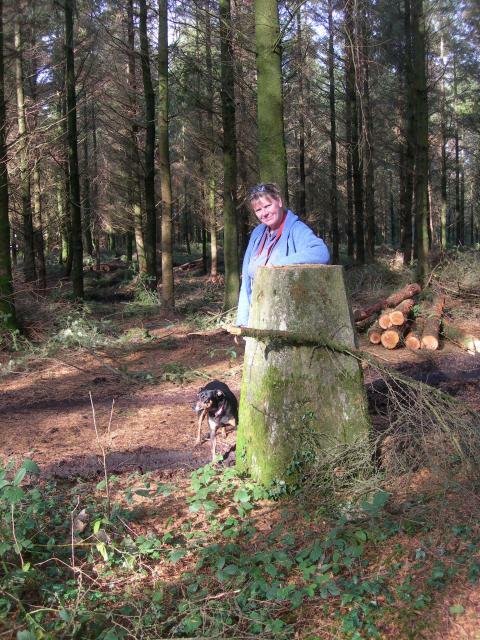 This is my first trig point that I'm logging. 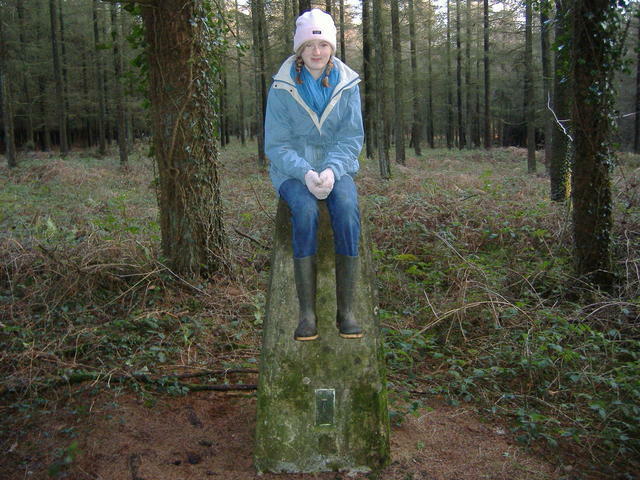 Out geocaching and this trig point was near to a cache. Originally tried to locate using memory of the map Id looked at earlier... in the end I had to google it and find out the GPS, nice area better now partially cleared. 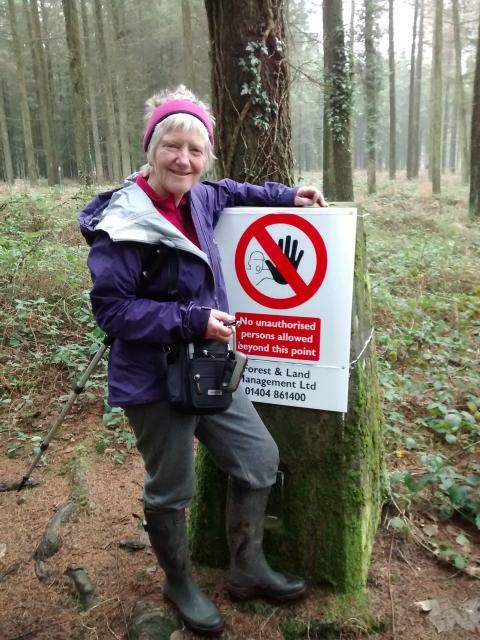 Easy to access as this one is adjacent to a public bridleway. 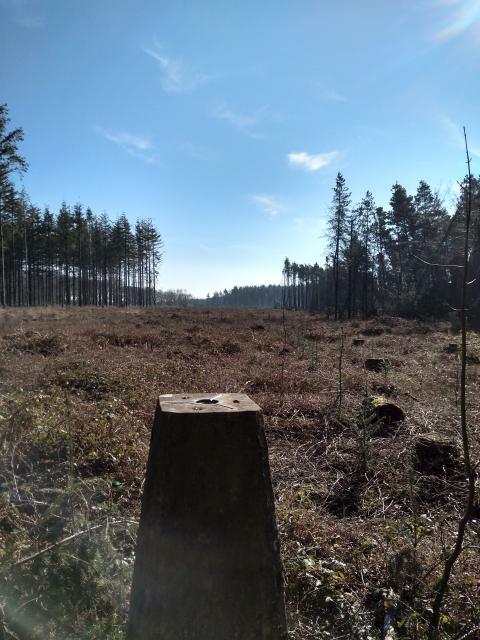 There is a (now cleared) larch plantation to one side and mixed woodland on the other sides so not much of a view despite being up high relative to the surrounding landscape. 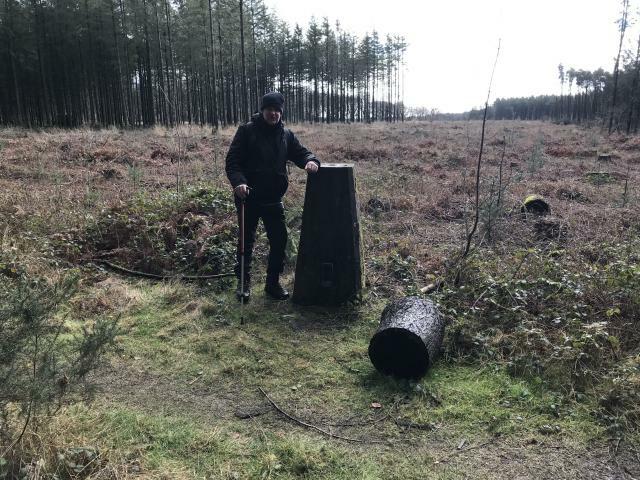 Met up with a fellow geocacher to find a new Christmas trail of geocaches in this wood - and to my surprise and delight I spot this trig point! 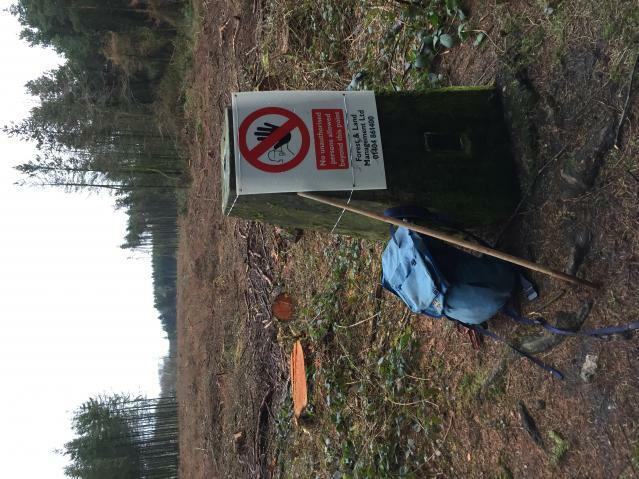 It was extra easy to see as the forestry workers had tied a large sign on it as they were clearing trees behind the trig point. 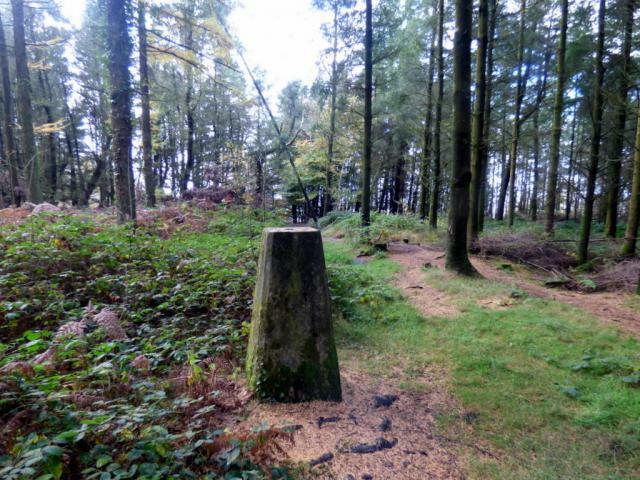 The moss-covered trig itself is easy to find beside a track marked on the OS map within the wood, but no great views due to the trees. 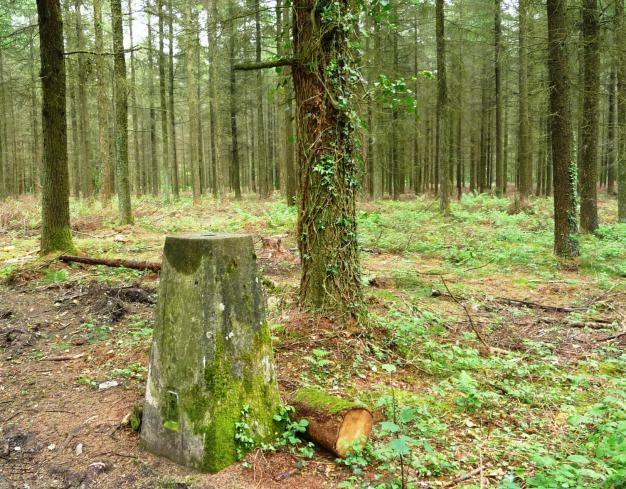 Took a bit of finding as it is surrounded by woodland. 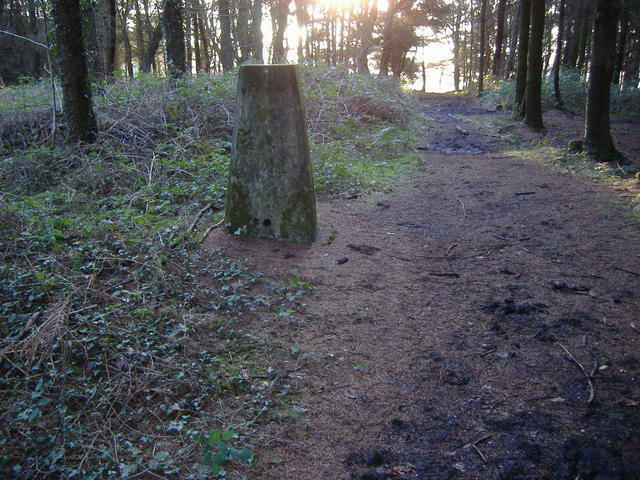 The pillar stands next to a woodland path on a hill between Honiton and Wellington. Moss is creeping up some of the sides of the trig. It lacks a cap or plug and has FB S3903. The central tube has been partially filled with pine needles. It was approached by means of a very pleasant walk on paths and tracks from the minor road to the south east. 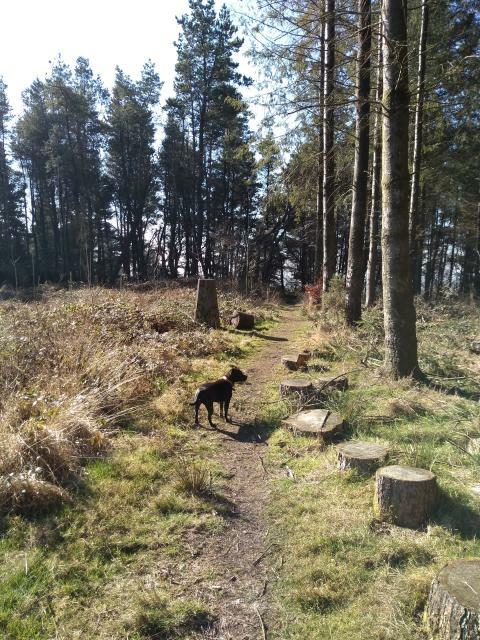 The woods were full of birdsong. The trees near the edge of the hill top thinned out in a few places to allow a misty, hazy glimpse of lower farmland to the east, rolling hills to the north and wooded hills to the east. 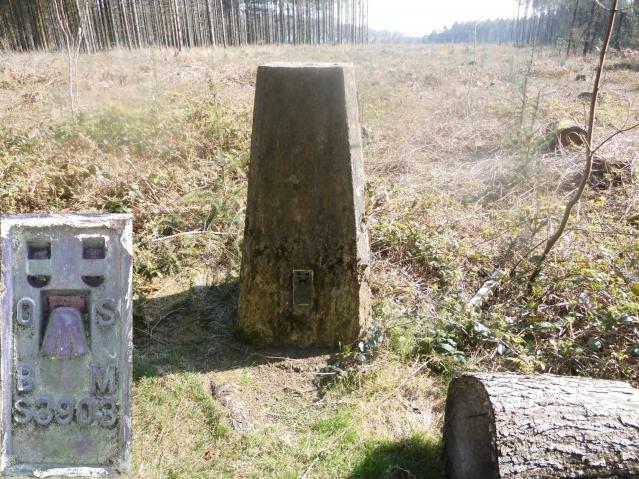 The trig is now in the middle of the woods and does not possess a view. 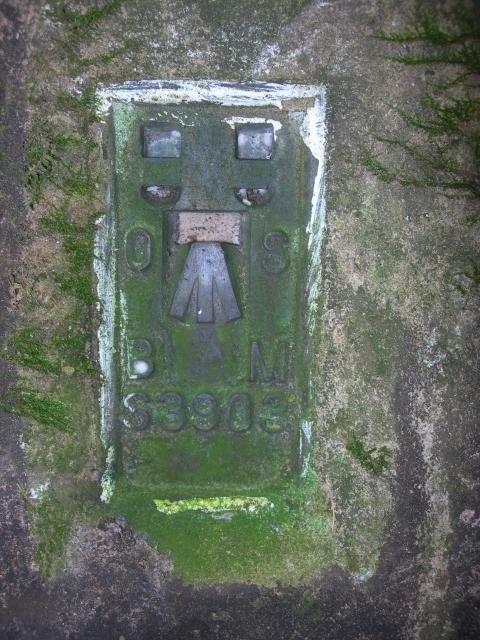 The site is within the Blackdown Hills AONB. 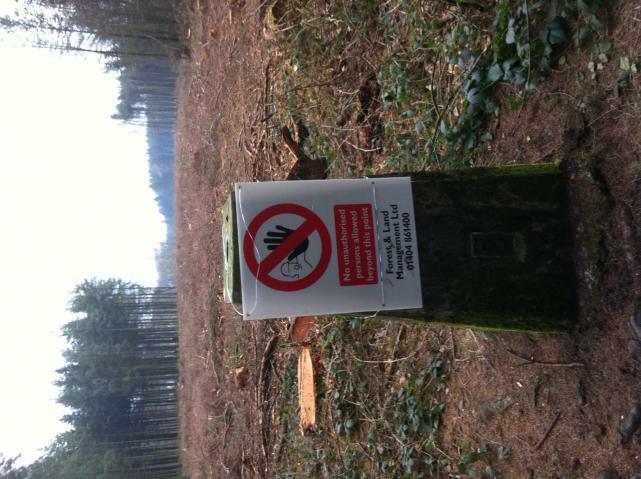 No views and quite difficult to find in the trees. As previously said, no views, but a nice walk non the less. Passed what I first thought was an RoC bunker, but on second thoughts realised its a reservoir - unless you know better. Parked in the FC gateway to the SW and followed the path right to the trig. Nothing to see at TP but trees but nearby bench at wood's edge is worth a pause for a moment of reflection. vgc, no cap or plug, by track in open conifers. Pleasant walk from campsite nearby,on a path in the forest. 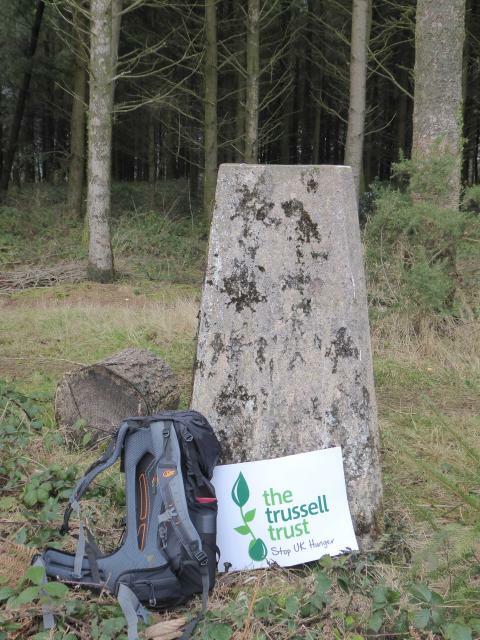 Our 1997 Explorer shows the trig in open ground but it is as Maurice says in the middle of o pine forest. Easy to find as the path leads straight to it. Plug missing.